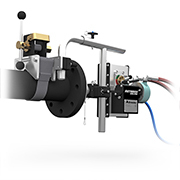 The Navigator is the only automated rotary hose device in the industry specifically engineered to clean small diameter process pipe with bends. 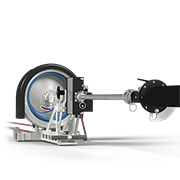 The Navigator uses an Autobox ABX-PRO tractor to feed the hose in and out of the pipe and a spinning drum to rotate the hose. 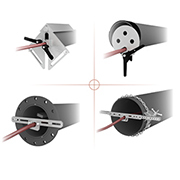 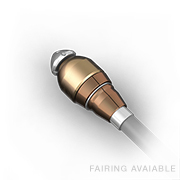 This unique hose rotation allows the Navigator to work past multiple elbows/bends in process piping that may have been inaccessible in the past. 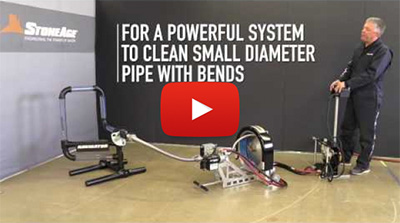 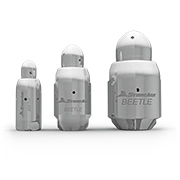 The Navigator is ideal for cleaning piping, drain lines, and other small pipes with bends. 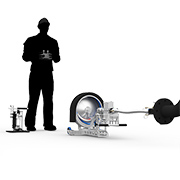 The ABX-PRO tractor can be removed and used independently for pipe, tube and drain cleaning where hose rotation is not required. 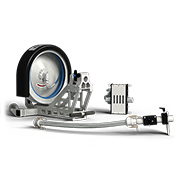 Convert your AutoBox ABX-PRO hose tractor to a full Navigator system with the NAV-170-PKG upgrade kit. 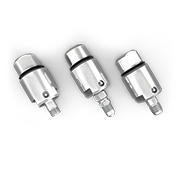 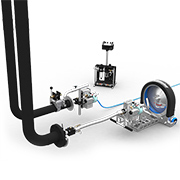 Hose rotation enables access through multiple elbows and makes the Navigator ideal for cleaning process piping.